Mother's secret, ready to be told to all new parents: take baby powder to the beach! Use baby powder, any kind, for sandy hands and especially sandy feet at the beach. Get sand all over yourself and your little one...and don't worry about a thing! You will be sand free - toes and feet, legs and hands. We guarantee it. Sand just seems to cling everywhere but next time, towel dry your body and sprinkle baby powder and rub it in. It will remove all excess sand from your body. This is especially well when trying to get your children ready to pack up at the beach and go home. 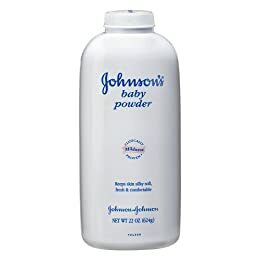 Most babies and kids hate that sandy feeling, baby powder really works. Only use a sprinkle. Baby powder is a must have in my beach bag.